The City of Indianapolis is planning to announce the first stages of a body camera program for police officers, but questions are already being raised about how much it will cost taxpayers. INDIANAPOLIS — The City of Indianapolis is planning to announce the first stages of a body camera program for police officers, but questions are already being raised about how much it will cost taxpayers. On Monday afternoon, Mayor Joe Hogsett and IMPD Chief Bryan Roach are expected to officially announce the program, calling it, "a process to study the feasibility of a body-worn camera program in Indianapolis." Body cameras overall aren't cheap for cities and police departments. "We also want to transparent, upfront and truthful about what it is going to cost to get it done," Fraternal Order of Police Lodge #86 Rick Snyder tells Call 6 Investigates' Paris Lewbel. The cost can be a major expense for departments year over year. The devices themselves aren't expensive, the cost comes from storing the thousands of hours of video captured by each officer. On the low end, it's estimated it could cost IMPD two-to-three million dollars every year. Three million dollars could pay the base salaries for 42 officers. "It has to be stored for many years and that's where the costs start to be pretty astronomical," Snyder said. "Cities and town go, 'Oh my gosh, we didn't even think about this' and then they can't afford it." The huge cost of storage has caused some departments across the country to dump body cameras, according to an investigation by the Washington Post . Snyder says he wants to make sure the city looks at the cost and the projected cost overtime and then allocated specific money to the cameras. He says the money cannot come from IMPD's budget, they just simply don't have extra money laying around. "Any of these additional dollars have to be in addition to what we are already spending within the police department," Snyder said. "It can't be in lieu of what we are doing now." 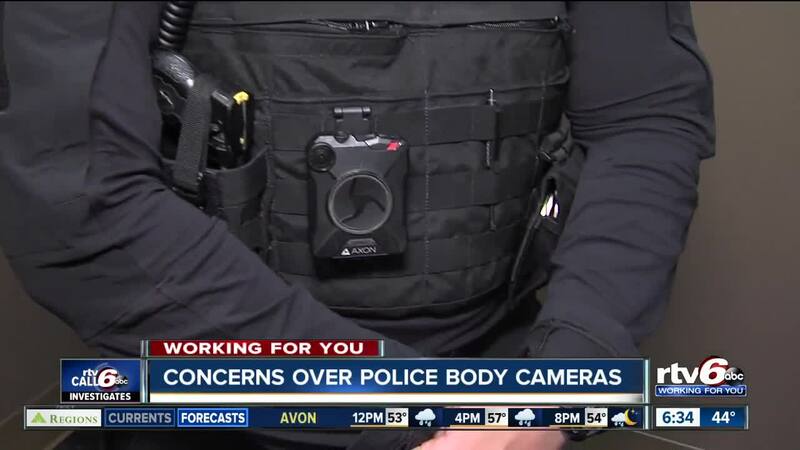 The cameras have been rolled out at departments big and small across the country and proven to increase transparency and public trust with the police department, but IMPD hasn't moved forward with any plans to roll out any body cameras, until now. “No. 1 -- we want them,” IMPD Chief Bryan Roach told Call 6 Investigates' Paris Lewbel back in September 2018. “That's a goal of mine." Originally, Roach said the department wouldn't start looking into it until 2020 or 2021. But as Call 6 Investigates first reported on January 23, IMPD pushed the timeline forward and is moving forward with a plan to equip every police officer with a body camera much sooner than expected and assigned a veteran officer to serve as the project manager of the body camera program, Call 6 Investigates has learned. The city hasn't yet identified where the money could come from or even a timeline on the cameras. The police department is expected to post a formal Request for Information that will allow body camera vendors to submit initial information about their body cameras, the cost and how they could work for the city.